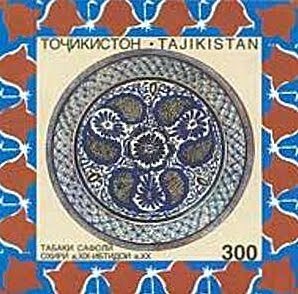 In 1998, Tajikistan issued a set of 3 stamps featuring traditional Tajik handicrafts (Scott #119-20; 119,119A,120). 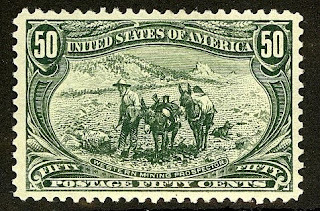 The high value is an imperforate miniature sheet picturing a ceramic tile. 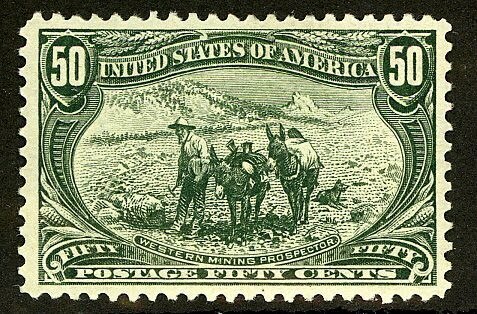 Only 10,000 sets were issued, and Scott '11 prices the set unused at $6.00. The set makes an interesting and low-risk speculation based on its appeal as an Art topical, and as a bet on the economic growth of Tajikiistan and the development of a stamp market there. This recommendation is consistent with my belief that one of the best ways to play the new and newly resurrected countries of Europe and Asia is to focus on popular topicals with low printings. Tajikistan, a nation of about 8 million people, is still recovering from a devastating civil war which ended in 1997. Since the end of the war, newly established political stability and foreign aid have allowed the country's economy to grow. Trade in commodities such as cotton, aluminium and Uranium has contributed greatly to this steady improvement. Remittance from Taji migrant workers abroad, mainly in Russia, represents a major source of the country's GDP. The Tajik economy is fragile, largely owing to corruption, uneven economic reforms, and economic mismanagement. Annual GDP growth has averaged 6.5% over the last 5 years. This is really a great post.